Time To add some thing black and white. Want to make your blog look some historical? Want to make your blog look some beautiful. Than don't worry CloudsPedia is here to brought something new always. 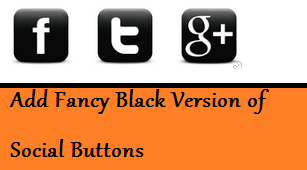 I created my own fancy version of Social Button widget . The benefits of this widget are that it give your blog a great look and attractive. Change Cloudspedia with your facebook page link.